The PERRIN Performance front sway bar is a 25mm solid bar for extreme durability and strength. Driving enthusiast will enjoy the feel of the 25mm sway bar for it's rigidity and improvement in performance driving. PERRIN Performance sway bars incorporate multiple end link mounting holes which allow the installer to custom tailor your driving experience. This PERRIN sway bar increase stiffness by a minimum of 50% overstock. Adjusting the end link mounting position on this sway bar can increase that stiffness to as much at 215% over stock. Perrin Performance sway bars feature centering rings that prevent sway bar movement in hard cornering. This keeps your sway bar centered and ready for the next corner. The Turbosmart Vee-Port BOV Features a unique, variable exhaust port system, providing superior venting of excess pressure. Ideal choice for street-tuned Subarus. Easy to install and set up.. The quick-release V-Band system makes installation and removal easy while the Subaru flange eliminates the need for an adapter. Spring tension is adjustable by simply rotating the cap. NEW DESIGN! TurboXS 2002-2007 WRX/STI catless downpipe uses a massive cast 304 Stainless Steel Bellmouth that tapers to 3.0Inch piping where it connects to the mid-pipe. 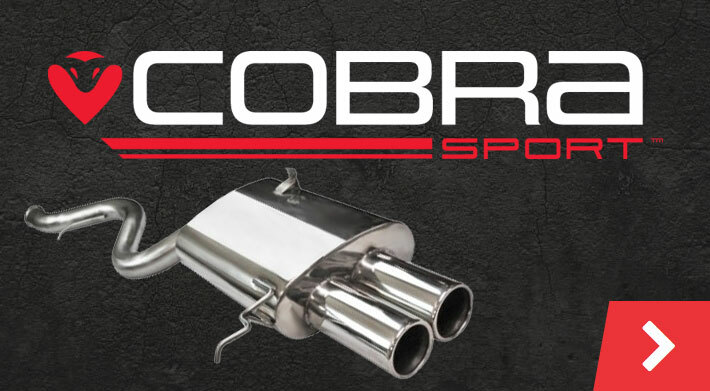 Unlike previous designs, the new TurboXS downpipe will bolt to any stock or 3Inch aftermarket catback exhaust system. PERRIN Performance mufflers have a true 3" internal diameter for uninterrupted exhaust flow. PERRIN mufflers and flange connections are 3" throughout the entire length, not necked down, for ultra smooth transitions throughout the system. An over-sized 4" slash cut exhaust tip adds an aggressive look to this impressive system. PERRIN exhaust tips are a brushed stainless steel, single wall construction and will not discolor with extreme heat. PERRIN performance exhaust systems feature high tech v-band clamps for a perfect exhaust connection. V-band clamps are designed to hold hundreds of pounds of pressure and do so without the need for a gasket! This connection allows for a precise repeatable joint with the ability to rotate each joining connection. This allows for easy installation and alignment adjustments for a perfect fit every time. PERRIN Performance exhaust systems are made entirely of 304 stainless steel. 304SS provides high corrosion resistance and is excellent for heat up to 1800 degrees Fahrenheit. Other manufactures may use cheaper 409 stainless steel which will rust and corrode over time but the added expense of 304 stainless steel is well worth the beautiful and long lasting finish and durability. The PERRIN exhaust systems come with a brushed stainless steel finish. Brian Crower Stroker Kit: To form the ultimate Stroker Kit use with BC Crankshafts with the corresponding connecting rod and piston combination. The Brian Crower stroker kit delivers a system matched setup that installs correctly the first time. Although specific differ from kit to kit, you can be sure each Brian Crower Stroker Kit incorporates a larger stroke, steel billet crankshaft - not a reworked OEM crank, custom forged aluminum pistons, premium alloy wrist pins, full ring pack4340 steel billet connecting rods w/ARP fasteners and ACL Bearings. All this equals a fully balanced system ready to install for some big time power and torque gains. The IS Series intake for the 02-07 Subaru WRX & STI is an easy to install short intake system. By reducing turbulence and providing a less restrictive flow through the high performance filter, each short ram intake system is engineered to provide improved horsepower and torque gains over the stock setup. Expect faster turbo spool and a nice burbling sound under the hood. Each 6061 T-6 aluminum alloy intake is finished off with an Injen performance dry air filter with built-in velocity stack. Includes stainless steel clamps, high quality silicone hoses, and instructions. The PERRIN Master Cylinder Brace prevents unwanted movement of the master cylinder, allowing for increased brake pedal stiffness. Your brake pedal is connected to the thin sheet metal firewall which flexes as you apply the brakes. The firewall is not stiff enough to deal with the constant and repeated forces while applying the brakes. The PERRIN Master Cylinder Brace creates a bridge between the firewall, master cylinder, and shock tower, significantly reducing flex in the firewall while braking. The PERRIN Master Cylinder Brace significantly reduces flex at the firewall, so you get solid brake pedal feel with every application of the brakes. This is very noticeable while under heavy braking and even slowing for a stop sign. The difference can immediately be felt after installation. When possible we try to design Master Cylinder Braces in one piece to improve rigidity. The PERRIN Performance Master Cylinder Brace for the 2002-07 WRX/STI is CNC machined from a large piece of 6061-T6 billet aluminum for extreme stiffness. With stainless steel hardware and an anodized finish, the PERRIN Master Cylinder Brace will look great and last the life of the car, even in the harshest conditions. The PERRIN Master Cylinder Brace is design to attach strategically to multiple points on the shock tower. This helps reduce flex in the brake master cylider by creating a solid connection between it and the chassis. To further aid in stiffening or tightening up this connection, included is an adjustable screw that allows tension to be preloaded on the master cylinder. Anodized black with a vivid PERRIN logo, the PERRIN Master Cylinder Brace is guaranteed to continue looking great while being used. Note: Left Hand Drive Cars Only! A large number of connecting rod manufacturers have chosen ARP bolts as standard equipment. They’re proud to advertise their products as being equipped with ARP rod bolts. And for good reason. The “weak link” in a connecting rod has always been the bolt, and racers know that nobody builds a better bolt than ARP. However, it is critically important to monitor the stretch of each bolt and replace it when it has permanently elongated by .0005˝. Below you will find an extensive listing of aftermarket connecting rods and replacement bolt specifications. In some instances, you may want to go to an ARP rod bolt made from a better grade of material. This will provide you with improved reliability. However, please understand that when you want bolts made from exotic, super high strength materials, the cost will increase significantly. If you’re on a budget, it’s best to go with the most cost-effective solution. This is typically defined by the loads that are carried by the bolts in terms of piston/rod weight and the rotational speed of the engine. The most cost effective design is the one in which the bolt strength is just great enough to handle its anticipated load – plus a safety margin for the occasional overloads. Using a material which has far more strength than required is not as cost effective – but will definitely give you an extra margin of safety and longer service life. You should also know that ARP rod bolts are superior to those from other manufacturers. Especially in the area of fatigue strength. Testing has shown ARP rod bolts to have ten times the fatigue strength of other bolts. In the chart below, you’ll find a bar chart that graphically shows the difference between ARP Pro Series rod bolts and the fastener made by a leading competitor. It’s easy to see why ARP bolts are superior. As such, it makes good sense to rely on ARP for optimum connecting rod service and reliability. Make the most of your racing budget and rely on ARP rod bolts. You’ll find the ARP name proudly stamped on each bolt as your assurance of quality. * Wave-Loc surface contacts the rod and cap for optimum alignment and reduction of fluctuating stress – which strengthens the rod itself! * Provides snug fit for all OEM connecting rods (interference range of .001˝ to .005˝), despite wide range of factory rod bolt hole tolerances. * Available for most applications. * Superior material grain flow because of patented Wave-Loc surface design as compared to knurled bolts that have sharp edges and “built-in” stress risers. Until the development of today’s modern alloys, chrome moly was popularly considered a high strength material. Now viewed as only moderate strength, 8740 chrome moly is seen as a good tough steel, with adequate fatigue properties for most racing applications, but only if the threads are rolled after heat-treatment, as is the standard ARP production practice. Typically, chrome moly is classified as a quench and temper steel, that can be heat-treated to deliver tensile strengths between 180,000 and 210,000 psi. With a typical tensile strength of 290,000-310,000 psi, Aermet is a new martensitic super-alloy that is stronger and less expensive than the super-alloy austenitic materials that follow. Because it is capable of achieving incredibly high clamping loads, it is ideal for short but extreme environments like top fuel, funny car and some short track applications. Although Aermet is a maraging steel that is far superior to other high strength steels in its resistance to stress corrosion, it must be kept well-oiled and not exposed to moisture. ARP2000 is an alloy steel that can be safely heat treated to a higher level, producing a greater strength material than 8740. While 8740 and ARP2000 share similar characteristics – ARP2000 is capable of achieving a clamp load at 220,000 psi. ARP2000 is used widely in short track and drag racing as an up-grade from 8740 chrome moly in both steel and aluminum rods. Stress corrosion and hydrogen embrittlement are typically not a problem, providing care is taken during installation. This is a premium steel that is processed to deliver superior strength and fatigue properties. L19 is a very high strength material compared to 8740 and ARP2000 and is capable of delivering a clamp load at 260,000 psi. It is primarily used in short track and drag racing applications where inertia loads exceed the clamping capability of ARP2000. Like most high strength, quench and temper steels – L19 requires special care during manufacturing to avoid hydrogen embrittlement. This material is easily contaminated and subject to stress corrosion. It must be kept well-oiled and not exposed to moisture. A nickel based material that is in the high temperature, super-alloy class, it is found to be equally suitable in lower temperature applications. This material delivers tensile strengths in the 210,000-230,000 psi range and exhibits improved fatigue properties. Best of all, Inconel 718 is completely immune to hydrogen embrittlement and corrosion. While similar to Inconel 718, these superalloys are found in many jet engine and aerospace applications where heat and stress attack the life of critical components. The high cobalt content of this alloy, while expensive, delivers a material with superior fatigue characteristics and typically tensile strength in the 260,000-280,000 psi range. The immunity to hydrogen embrittlement and corrosion of these materials is a significant design consideration. These materials are primarily used in connecting rods where extremely high loads, high RPM and endurance are important factors – Formula 1, NASCAR and IRL applications. This newly formulated super-alloy demonstrates superior fatigue cycle life, tensile strength and toughness – with complete resistance to atmospheric corrosion and oxidation. ARP is the first to develop manufacturing and testing processes for fasteners with Custom Age 625+. Best of all it is less expensive and expected to soon replace MP-35 as the material of choice in the high strength, super-alloy field. Typical tensile strength is 260,000-280,000 psi. Increase efficiency, style, and power under your hood. PERRIN intake systems use proper MAF alignment and plumbing size, both of which are crucial to maintaining proper air fuel ratios and preventing check engine lights that plague competitors. Our intakes are constructed from aluminum tubing which is precision CNC mandrel bent for consistent and perfect fitting parts. Our MAF sensor bung is CNC machined for perfect fit and alignment of MAF sensor to intake. This is crucial for proper air fuel ratios and ECU engine management. With a PERRIN intake system your car will make a throaty, deep tone on throttle that is undeniably modified. You will be able to hear your turbo spooling and hear your blow off valve every time it opens. Even the stock one. PERRIN short ram intake systems use high tech T-bolt clamps. Our high end clamps offer maximum holding power and have a built in liner so they will not damage silicone couplers. Each clamp is laser etched with the PERRIN logo. PERRIN Performance intake filter elements use open cell foam to capture dust and dirt. Washable and reusable, PERRIN foam filter elements can last the life of your vehicle. Foam filter elements offer superior performance with minimal airflow restriction and amazing dust holding capacity. This PERRIN Performance product features a durable powder coat finish. PERRIN powder coating is available in either red or black and is accented with a wrinkled texture finish. A true weight savings that can be felt with every blip of the gas pedal. One of our best selling parts, many thousands installed on Subaru engines around the world. The PERRIN Performance Crank Pulley weighs just 1.2 lbs., which is 4 lbs. lighter than the OEM crank pulley. This reduction in weight from the crank shaft is equal to removing more than 100 lbs. of vehicle weight! Throttle response, horsepower, and torque are all increased with this easy-to-install part. Precision machined grooves, tightly sync with all OEM and aftermarket belts. While the PERRIN Performance crank pulley fits great on all 1993 or newer Subaru boxer engines, the rear belt keeper is now minimized to make installation on 2008+ Subarus easier! The PERRIN crank pulley is machined from 6061T6 billet aluminum, anodized black or red and laser etched for increased belt life and a precision fit. Subaru utilizes stretch fit belts which are shorter than the actual working length, but once they are installed they automatically tension, maintaining the proper tension over the life of the belt and ensuring optimum load-carrying capacity. The Gates installation tool is required to properly guide the belt onto the pulley and avoid damaging the belt. Gates stretch fit belts may look like standard V-ribbed belts but inside they are dramatically different. The secret is Gates new TwistLock Technology where the strength and flexibility of advanced polyamide tensile cord is surrounded by a specially formulated adhesive that literally locks on to the cord- allowing the cord to elongate and stretch but never lose tension. Since the release of the very first model of the Subaru Impreza in 1992 it has been synonymous with the image of a modified performance car, especially the WRX & STi models. The classic blue and gold colour scheme will be forever etched into the modders heart! Here at Tarmac Sportz we stock a wide range of performance enhancing products for the Subaru Impreza 2001 - 2007 models. Enhancements for the braking system, the exhaust system, engine and suspension. We also stock a range of accessories for interior styling and also electronic equipment to work in conjunction with the car’s ECU. Please browse our Impreza performance parts & product range.